They say necessity is the mother of invention. But little did Matt Majewski know that his need to store his suitcases at a friend’s house while taking a long weekend to attend a friend’s bachelor party would become the seed for an up-and-coming niche business, CityStasher. Majewski’s friend (and fellow founder) Anthony Collias told him he’d happily store his bags for the weekend, but he’d have to charge him. That tongue-in-cheek quip was a moment of realization: perhaps other travelers were in need of short-term storage for their bags as well, and CityStasher was born. If it’s your last day in England and you want to tour the sites of London before you catch your flight but after you’ve checked out of your hotel or Airbnb, you certainly don’t want to lug your luggage from the Tube to the Tower of London to the London Eye all day. 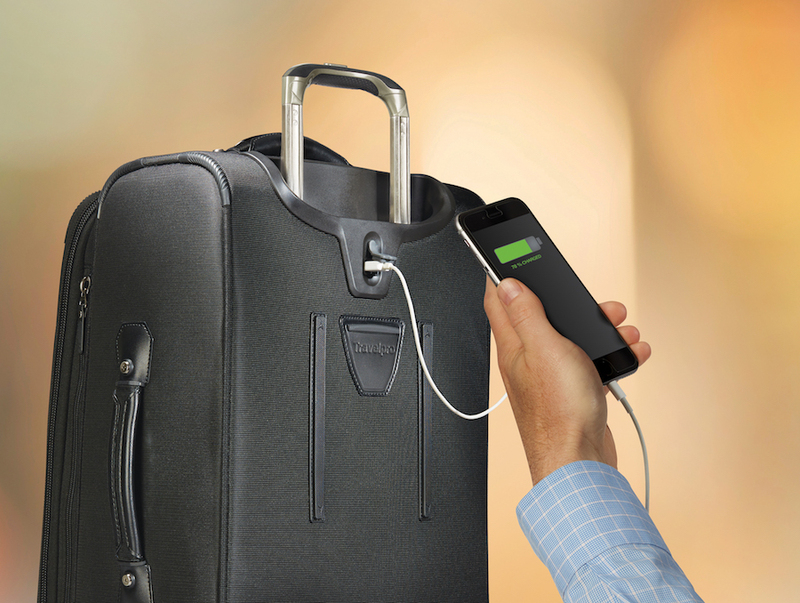 CityStasher allows travelers to leave their luggage in a locked room at one of its 60 StashPoints around the city. CityStasher’s StashPoints, located in independent businesses and other establishments that boast long hours of operation, are vetted to meet the following criteria: they have close-captioned TV surveillance, a locked room for the bags, and have long hours of operation for easy drop-off and pick-up. Each bag is insured for 750 pounds, close to $1,000 USD. The cost to stash your bag? 4 pounds for the first 3 hours, 6 pounds for 3 to 24 hours, and an additional 5 pounds for every 24 hours after that. Proprietors have been incentivized to become storage sites by the prospect of redeploy an existing asset into a profit sharing investment. The StashPoint operators do have the right to search the luggage in the presence of its owner before attaching the security tag to the bag and agreeing to store it. According to Jacob Wedderburn-Day, the company’s third founder, CityStasher hasn’t had any incidents with the contents of any of the nearly 25,000 bags it has stored since it began operating in 2015. CityStasher operates in 18 cities across the United Kingdom, and in Amsterdam, after being sought out by a business there. 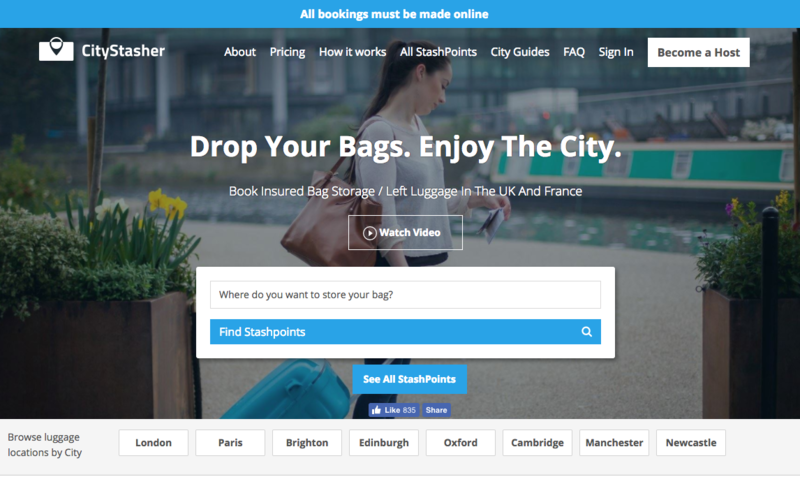 The company is seeking investors to bring CityStasher to popular weekend destination cities across Europe. Would you pay to store your baggage for a few hours before a flight? Or would you just lug it around to save money? Share your thoughts with us in the comments below, on our Facebook page, orin our Twitter stream. Ever come home from a trip and realize that the frame is bent on your suitcase? Or the wheel no longer functions correctly? If you think there’s no use in filing luggage damage claims, think again. The Department of Transportation (DOT) has warned the airlines that it is against consumer protection laws to ignore claims on zippers, wheels, straps, and handles that are damaged beyond normal wear and tear. 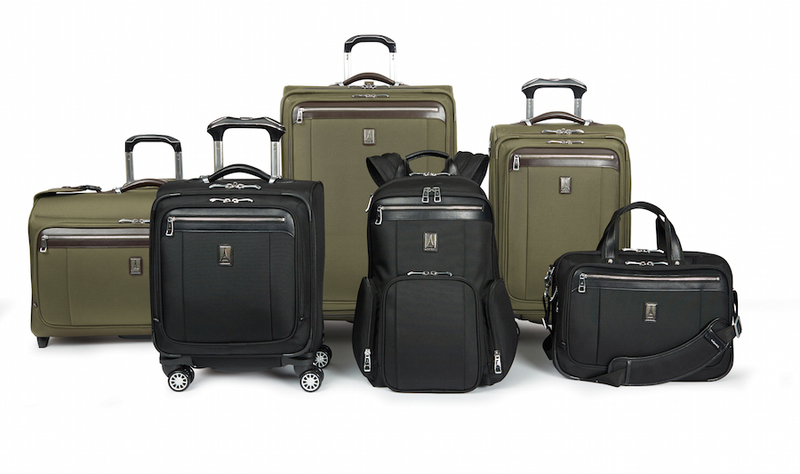 Our Platinum Magna 2 Collection has a limited lifetime warranty for the life of the luggage and covers any damages incurred by baggage handlers. This was of great relief to travelers who have suffered damage to their bags — damage that wasn’t there before their trip started — only to be told the airline that managed their bags “wasn’t responsible” for the damage their own personnel caused. Although no specific airlines were called out in this most recent warning, most airlines post luggage liability limits on their websites for travelers who experience property damage, and do not consider the damages specified by the DOT reimbursable. Travel writer Peter Greenberg is confirming what we’ve believed all along: airplane seats are getting smaller, as is the space between them. Airlines have found ways to incorporate lighter, slimmer seats, which allows them to pack more seats onto the planes. Worse yet, they’re even shrinking the size of the airplane bathrooms. 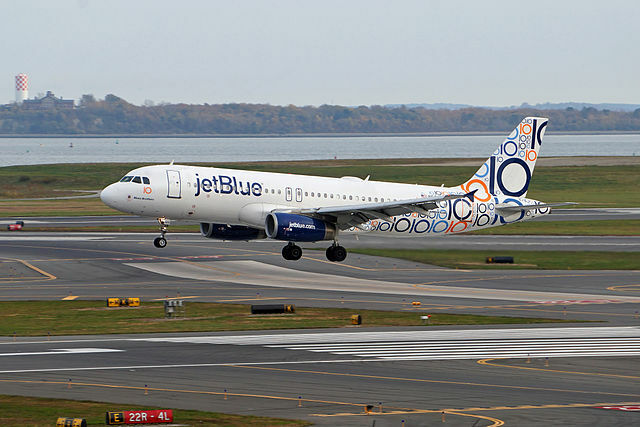 Many carriers are adding the extra seats to shorter flights, although that is certainly not the case across the board. One trend we’ve noted in conjunction with the smaller seats is that airlines are offering seat upgrades (so-called “comfort seats”) for folks who are willing to pay extra to sit in a seat that’s a tad roomier or comfortable. Let’s be clear that we are not talking about first class seats. These seats are another option between a standard seat and a first class seat. This is one of the many ways that airlines are increasing their add-on income. Recently, one of our employees flew on an older plane to Europe and said the he has never sat in a seat with less legroom. He couldn’t even put the arm rest down between himself and his wife. The airline offered comfort seats, which cost $75 to $80 more for the 11 hour flight. He was on the aisle but was crammed into a small space. He handled some of the stress of the flight by moving around and getting up to walk around the plane whenever possible. One way to make sure this horrible fate doesn’t happen to you is to check SeatGuru.com as a way to check out your seats on a particular plane before you book, so you can buy an upgrade if it looks like the standard available seat is an extremely tight fit or their is a electrical box underneath your feet. You can enter your information and a seat map for your plane will pop up along with comfort recommendations for the various seats. Are you willing to pay for seat upgrades? What’s your minimum threshold where you’ll put up with the discomfort before you pay the fee? Let us hear from you here or on our Facebook page. Yes, you read that right, Virgin American is considering charging customers for carry-on bags. A May 19 article in Global Traveler reports on remarks made by Virgin American CEO David Cush on the topic. He said he thought charging for customers to put luggage in the belly of the craft and giving them prime space within the cabin for free was rather backwards. He also noted that charging the same amount of money for baggage on short and long flights is a bit nonsensical as well. This would make Virgin one of the bigger airlines to take this step. Spirit and Allegiant already charge for carry-on baggage in excess of one personal item such as a backpack or purse. Could this start a reverse migration to checked bags? 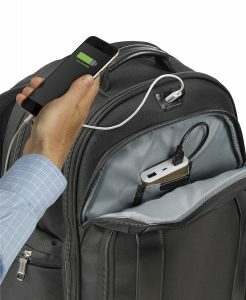 Would more people check bags instead of carrying them on? There’s a concern on the side of the airlines because there’s so much activity with carry-ons: it takes longer to board and deplane because of all the bags people bring on flights with them. That means the potential is there to not arrive at the destination on time. On time arrivals is a metric that all airlines track. From the travelers standpoint, they’re doing it to avoid checked baggage fees. In other words, the airlines have created a problem for themselves that they’re now looking to solve. It will be interesting to see if Virgin America really goes forward with this idea. It will create another layer of add-on pricing, which could make Virgin less competitive. Allegiant and Spirit are known for having low base ticket prices and then charging add-ons to customers for almost everything. We wonder if Virgin America would need to lower the base price of its tickets if it decides to start charging for carry-on luggage. Otherwise, they could be undercut by bigger airlines. On the other hand, if Virgin went forward with this plan, other major carriers may also jump onto the bandwagon, and we could all start paying for our checked bags. What would you do if Virgin and other airlines started charging for carry-on bags? Let us hear from you here or on our Facebook page. 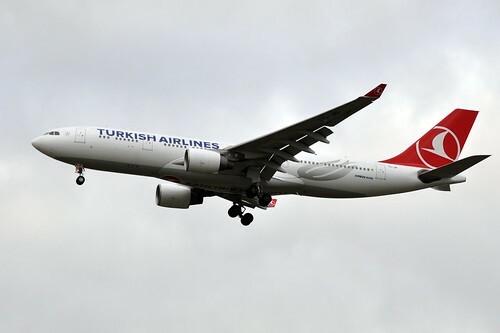 A new airport is being built in Istanbul, Turkey over the next five years, with Turkish Airlines slated to be the “flagship tenant.” In this new space, Turkish Airlines plans to use cutting edge technology and personal hospitality to create a better passenger experience for their customers. Turkish Airlines already takes great pride in offering comfortable spaces for travelers to relax in, so this should be interesting for those people who like to travel in comfort. The airline focuses on showing passengers a great degree of civility and hospitality, especially in their pay-to-enter lounges. In the paying lounges, they’ve rolled out push notifications alerting passengers to gate changes, flight changes, and even nearby sales. This is already being tried out in airports in Istanbul and has apparently been a hit because Turkish Airlines announced last spring that they intend to make this a permanent feature. Another great program that Turkish Airlines is rolling out is free tours of Istanbul to travelers on a layover of six hours or more. That way, travelers don’t have to waste a huge chunk of their time sitting around the airport, but can also feel more secure that they’ll get back to the airport on time since the tours are sponsored by an airline. These types of pampering are about improving the travelers’ experiences and making things a little more convenient, even as travel seems to be more hectic and uncomfortable in this day and age. Perks like this may eventually make their way to the U.S. If you’re in any major city in America, say New York or Miami, wouldn’t you be interested in a brief tour of that city during a long layover? We’re also interested in seeing push notifications for travelers, as well as a few other creature comforts at our airports. We’ll look forward to seeing some of these improvements arrive here in the U.S. too. When you purchase tickets for a flight, you probably don’t pay much thought to how the information you’re providing — your name, date of birth, and address — is being used. In fact, most travelers don’t give airport security much thought until they’re in line at the TSA screening checkpoint. However, the Travel Security Administration has recently begun running increased security checks on travelers before they even arrive at the airport. Basic security checks are nothing new. For years, the TSA has been running a program called Secure Flight. Before a traveler steps foot into the airport, their name, date of birth and address are compared with terrorist watch lists. However, through this new program, the TSA will be comparing traveler information against a wide array of government and private databases. That being said, it’s unclear exactly which specific databases the TSA will be accessing, however some speculate that it may include things like past travel itineraries, law enforcement records, property records and the like. While this level of screening may seem intrusive, the TSA claims that this information will be used to streamline airport security screenings, with the ultimate goal of giving 25% of passengers lighter screenings within the year, allowing pre-approved passengers to keep their shoes and jackets on and go through a simplified screening process, not unlike their Pre-Check program. On the flip side, travelers that are flagged as “high-risk” may experience increased, and repeated, security screenings. Unfortunately, travelers who are wrongly placed on the security watch list may run into endless problems while traveling. While those that have been wrongly labeled “high risk” can petition to have their name removed through the Department of Homeland Security’s Traveler Redress Inquiry Program, some civil liberties groups complain that it’s difficult, if not impossible, to be removed. We’d love to hear your thoughts. Are you ok with the prospect of having increased security checks run on you before you enter the airport, in exchange for increased security and a simplified airport screening process? Share your thoughts in the comments section, or on our Facebook page. TSA is expanding its screening of passengers before they arrive at the airport by searching a wide array of government and private databases that can include records like car registrations and employment information. If you’ve flown American Airlines out of a larger U.S. city recently, you may noticed that something has changed about the check-in process: passengers are now able to tag their own baggage. The aptly named “Self-Tag” program (which was initially tested in Austin, Texas late last year) works in conjunction with American Airlines’ current self-check-in kiosks. Now, in addition to using self-serve kiosks to check into their flight, you can also identify the number of bags you want to check and print baggage tags and claim tickets along with your boarding pass and receipts. American Airlines hopes that the Self-Tag system will free up more agents to work with travelers, but to also speed up the check-in process. In addition, agents will be available during check-in to lend assistance, and passengers who want to check their baggage the traditional way may still do so. American Airlines isn’t the only airline to offer this service – in fact the “DIY Baggage” trend has already been adopted by other major airlines, including WestJet and Alaska Airlines. So far, it appears to have worked quite well – American Airlines reports that the new system has been shown to speed up check-in times by roughly 55%. If the Self-Tag program and other self-serve programs like it continue to be well-received, we anticipate that many other airlines will begin to roll out similar programs. Now that the flight and baggage check-in process has become self-service, we’re curious to see what other self-serve options airlines will introduce in the near future. Just as the holiday travel season was getting under way, CNN published an article by Brett Snyder, the blogger at “The Cranky Flier.” Snyder discussed the new plan just set forth by the federal government to help shore up some revenue losses from the economic dip we’ve experienced these past few years. It’s a two-pronged plan. The first part would simply increase the security fees levied on travelers when they fly. (And those costs would likely be passed directly on to passengers when they book flights.) But the second part is a bigger tax that would have pretty major implications for certain parts of the country: a $100 tax on every flight that takes off from any airport in any US city. For big cities already served by a major airport — or sometimes even more than one — this proposed tax likely wouldn’t have much of an effect. The volume of travelers coming through and the sizes of the planes that take off from and land at these airports would allow these costs to be fanned out to the point where nobody has to feel too much pain. As little as $.50 per passenger. This proposed tax could actually squeeze smaller metropolitan areas out of the airport business altogether because they either can’t afford the fees based on their volume — or they just won’t be able to justify staying open for reduced passenger loads when air travel plummets because travelers can’t afford to fly anymore. There are a number of groups that are against these proposed taxes, including StopAirTaxNow.com (an airline industry group) and the American Aviation Institute. Only time will tell what happens here, but this year’s projected travel numbers paint a pretty clear picture that travelers know they still have options: of the 42.5 million travelers who traveled at least 50 miles this year for Thanksgiving, 38.2 million of them (that’s 90 percent!) chose to drive — up 4 percent from last year’s numbers. A $100 tax could have a further slowing of airline travel, which could not only put small city airports out of business, but could have an opposite effect of the one the government is hoping to achieve.